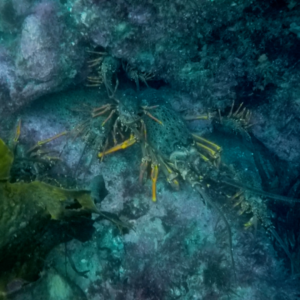 In March the Minister of Fisheries Stuart Nash announced a raft of management changes for four crayfish stocks between the Hauraki Gulf and Southland. From April 1st there were commercial catch reductions in two stocks and increases for the Wellington-Hawke’s Bay region and the Southern – Fiordland fish stock. The joint submission from recreational fishers did not support the proposed commercial catch increases, recommending the Minister retain the status quo. We support the Minister in reducing commercial catch limits in the Otago and Hauraki Gulf-Bay of Plenty stocks. 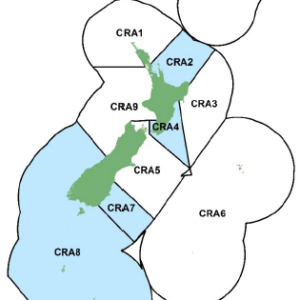 Decisions on the settings for the Hauraki Gulf – Bay of Plenty stock of CRA 2 have been the most contentious due to the stock being at its lowest-ever level and given the uncertainty around its ability to rebuild. The New Zealand Sport Fishing Council – LegaSea teams worked with the New Zealand Angling and Casting Association to produce a comprehensive submission in February. This submission received strong support from the New Zealand Underwater Association, Spearfishing New Zealand and the dive community. While we are pleased that the Minister has made a meaningful cut to the CRA 2 Total Allowable Commercial Catch (TACC), the decision to reduce the overall recreational allowance from 140 to 34 tonnes will likely mean bag limit reductions for recreational fishers. New regulations to limit growth in the recreational catch as the stock rebuilds will be discussed later in the year and LegaSea will keep you informed of developments. There is broad public concern about the state of CRA 2. This concern was expressed in our recent Crayfish Crisis survey where 89% of respondents rated CRA 2 as poor or decimated. 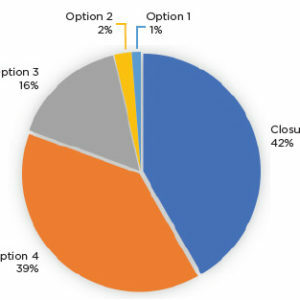 The survey showed overwhelming support for the Minister to make a conservative decision, with 39% of respondents supporting the new 80 tonne TACC, and 42% in support of closing CRA 2 to all fishing for a time. Closure was an option available to the Minister however, there was no political support for such a move. Monitoring this depleted fishery over the next few years must be a priority to ensure it rebuilds at a reasonable rate. 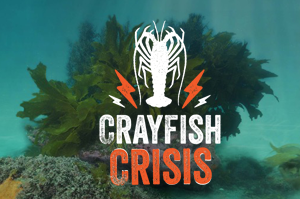 In our February submission we urged the Minister to take a precautionary approach in CRA 4, the crayfish stock spanning the Hawke’s Bay to Kapiti coastlineCatch rates in this fishery have been bouncing around and the TACC has now been changed in eight of the last 10 years. In our submission we recommended retaining the current TACC to restore some stability. 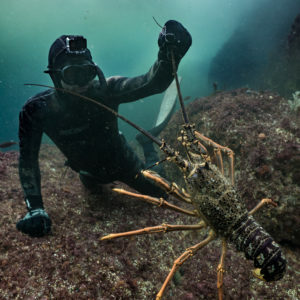 Instead, the Minister followed the advice from the National Rock Lobster Management Group, increasing the TACC by 10% and retaining the existing allowances for recreational, customary and other mortality. This is a disappointing outcome given that the proposed increase was based on outdated data and that the Minister has a statutory obligation to act in a precautionary manner. CRA 7 is a relatively small fishery off Otago that is based on young crayfish that leave after a few years, so abundance is naturally variable. The Minister decided to decrease the TACC by 14%, from 112 tonnes to 97 tonnes, similar to 2016 levels. This is a precautionary action for a fishery that sank to an all-time low level in 2013 and is now slowly rebuilding. Recreational fishers acknowledge CRA 8, the Southland-Fiordland fish stock, is highly productive and sitting at an all-time high level. In our submission we noted that the proposed TACC increase of 108.7 tonnes was excessive. The fishery has fluctuated over the years and we urged caution. “To jump straight back to a higher TACC, whch would be the highest level in recent years seems an unnecessary risk, the submitters recommend a more cautious, incremental approach is taken to protect this productive fishery”. Our submission was ignored in the advice paper and the Minister applied the TACC increase. For recreational fishers these decisions are a precursor to the next conversations about how to manage recreational and commercial catch within these new allowable catch levels. Bag limit reductions in CRA 2 are likely to stir public opinion later this year. Also, the call for pot limits to control commercial effort will get louder because people have told us they have had enough of their favourite haunts and popular holiday spots being inundated with pots. It is time for change and we are ready for those conversations. Subscribe to LegaSea to participate in future discussions.